Rudolph tore his ACL at Wednesday's practice and has been placed on the Dolphins' practice squad injured reserve, Barry Jackson of the Miami Herald reports. Analysis: Rudolph will miss the rest of the season and presumably attempt to recover in time for 2019 training camp, where he will be fighting for a 53-man roster spot. Rudolph signed a practice squad contract with the Dolphins on Wednesday, Joe Schad of The Palm Beach Post reports. Analysis: Rudolph was unable to crack the 53-man roster with the Giants, but he has found a new home in Miami, close to where he grew up and played college at Florida State. There's a chance he could join an active roster down the road after playing 253 offensive snaps for the Giants last season. 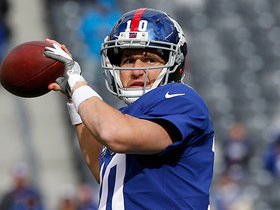 Rudolph was waived by the Giants on Saturday, Dan Duggan of The Athletic New York reports. 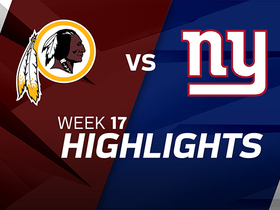 Analysis: Rudolph was always seen as a long shot to make the Giants' final roster, especially when he was forced to miss a preseason game with an undisclosed injury. He is, however, a prime candidate to land on the team's practice squad. Rudolph (undisclosed) participated in Sunday's practice, Ryan Dunleavy of NJ.com reports. Analysis: Rudolph was sidelined at the last couple of practices and Friday's preseason game against the Lions for an undisclosed reason, but he's back on the field and appears to be past whatever was bothering him. Rudolph will continue fighting for a spot on the Giants' final roster. Rudolph (undisclosed) will not take part in Friday's preseason game against the Lions. 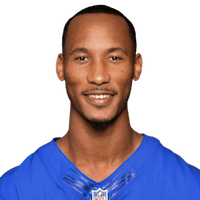 Analysis: Rudolph sits on the periphery regarding a 53-man roster spot entering the 2018 campaign, though he does have eight games under his belt in a Giants uniform. He will miss an opportunity to make an impression before Friday's cuts, lessening his chances of seizing a spot. Rudolph (undisclosed) didn't practice Wednesday, Ryan Dunleavy of NJ.com reports. Analysis: It's unclear what's bothering Rudolph, but he'll need a quick recovery in order to secure a spot on the 53-man roster. The second-year pro caught eight passes on 21 targets for 101 yards and zero touchdowns over seven games in 2017. Special teams may be Rudolph's best route to a spot on the squad. 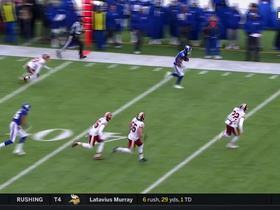 New York Giants wide receiver Travis Rudolph bursts upfield on this 29-yard outlet pass. New York Giants quarterback Eli Manning lofts this soft touch pass to wide receiver Travis Rudolph for a gain of 19 yards. 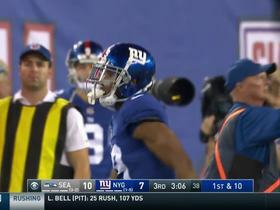 New York Giants QB Eli Manning finds wide receiver Travis Rudolph for first down.